Concerned about a tree? Don't wish to remove it but want that extra bit of piece of mind. 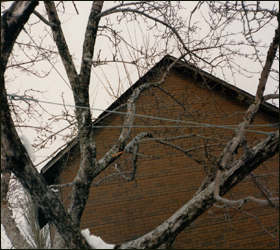 Than bracing is an extremely good option for you, with the use of bracing you can ensure your tree is more structural sound with the added support, reducing the risk of a branch or stem failing in high winds. We offer two types of bracing the traditional more invasive cable and threaded rods, or the cobra system which that consists of a rope made up of 'polypropylene monofilaments' and several shock absorbers. 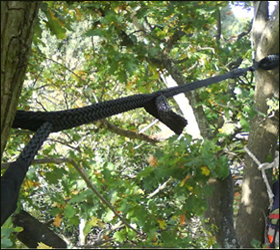 In general we favour the use of the cobra system because of the fact it is far less invasive, it still allows the tree to move naturally unlike with the use of cables and still has the same strength as using the cable system. We do also offer the inspection of bracing that has been installed by other companies or even us, to ensure that the system is still performing its job to the standard it needs to.